Ensus is to restart Europe’s largest bio-refinery this week after the closure of a loophole that allowed cheap biofuel imports from the US to flood the European market. 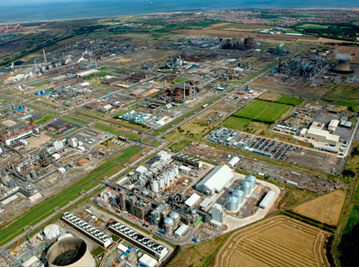 The £300 million bioethanol plant on Teesside began production in 2010, but was shuttered in May last year because of what the company called “depressed market conditions” for biofuels in Europe. The artificially cheap price for bioethanol was caused by a loophole in European Union legislation that allowed cheap US biofuel to be sold in Europe without paying import tariffs. The EU’s Customs Code Committee has now acted to close the loophole in the tariff system that allowed the subsidised US product to distort the market. US taxpayer subsidies for ethanol have also ceased, another major factor for confidence in its planned restart, said Ensus. Ensus has employed around 100 people at the bio-refinery throughout the shutdown and supports more than 2000 jobs in the wider supply chain. General engineering and maintenance activities have been taking place for several weeks and it is expected that the plant, on the Wilton International site, will be at full rates of operation within the next 2 months. The Teesside bio-refinery is designed to convert more than 1 million tonnes of wheat into roughly equal amounts of fuel grade alcohol, high protein animal feed and carbon dioxide using a process of distillation and fermentation. The ethanol is blended with petrol to create greener road fuel whilst UK and European farmers use the high protein wheat residue from the process as animal feed preventing the need for imports of high protein feeds from countries producing it in a less sustainable manner. Carbon dioxide from the process is used in the UK and European food and drinks industry. Ensus’s decision to invest at Wilton is widely credited with stimulating significant investments by process industry companies in the north east of England, most notably Sembcorp, Vopak and Yara.